From time to time, I feel a little guilty about picking on some of the most vulnerable people in society – the intellectually challenged – and feel I should give something back to their community, which has provided me with so much material. Moron culture, although apparently still buoyant worldwide, has actually been in decline ever since Copernicus disgracefully suggested that the universe may not be exactly as described in the Bible. In recent years, political correctness has made life harder still for our moron cousins; not only is it considered “bad form” to lynch people, but even suggesting that it might be a good idea is frowned upon. The poor people are reduced to celebrating the execution of a (quite possibly innocent) black man in Georgia. What a sorry position for a once-proud group; the grandchildren of those who unashamedly strung black men from trees now spend their time tweeting that Troy Davis “got what he deserved”. Likewise, these poor creatures have found themselves enduring all kinds of stress-related disorders while watching a black man become president and not being able to voice their true feelings. Indeed, many have fallen so low as to back a complete moron – Herman Cain – for President, simply on the basis that he’s black, in order to prove that they hate Obama for non-racial reasons. On this side of the pond too, morons are prevented from celebrating their history and traditions. The ideological descendants of Mussolini, Hitler and Pétain have found a new scapegoat in Muslims, but in order to make themselves more palatable to the average moron-in-the-street, they’ve also had to pretend they don’t mind Jews or homosexuals. Imagine the frustration and humiliation they must experience daily. No longer is it acceptable to hate immigrants for taking our women, playing rhythmic music or cooking food that actually tastes of something. In these politically-correct times, the socially-aware moron has to find a better reason for disliking immigrants, such as inventing the discovery of headless bodies, for example. 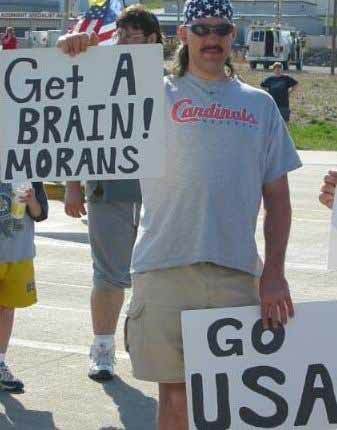 I know many of you think that morons are dangerous and worthless. Remember, African elephants were once so numerous that they seriously undermined attempts at agriculture and were seen as a pest. And now look. Do you really want your grandchildren to spend their holidays on safari so they can see the last few morons in their only remaining natural habitat (Georgia)? At an accelerating pace, morons are in terminal decline. Literacy, education, automatic weaponry – these things are all eroding mankind’s proud moronic legacy. Before we dismiss and ridicule these people, remember: we were them, once. I too had a great-grandfather who objected to being operated on by an Indian doctor. No doubt one of my long-distant ancestors killed a fellow tribesman for believing in the wrong shape of god. In my time of extended exposure to moronkind, I’ve found myself touched, even charmed by these simple folk. It may not be a fashionable cause, but I ask you to join me in celebrating the semi-evolved who still live among us, struggling to maintain their moronic traditions in the modern, connected world. Value them, while you still can. Tonight at 7pm local time (midnight in the UK), Troy Davis is set to be executed by the US state of Georgia. Executions in the US and elsewhere are still common, but this one has resonated around the globe more than most. Davis has been on death row for over 20 years for the murder of a policeman. He’s always protested his innocence, and no evidence exists to link him with the killing; but nine supposed witnesses did appear in court to point the finger at Davis. Of those nine, seven have now modified or retracted their testimony; three of those have said they were coerced by police to name Davis as the killer. Four of the witnesses have admitted lying in court. Quite simply, the case rests on almost nothing. There isn’t enough to imprison him under a civilised system, let alone execute him. The outcry against Davis’ execution extends way beyond Georgia or the US. BBC TV news is carrying the story as a main item in the UK. Indeed, Google News shows over 2,500 current articles, in publications worldwide. But Georgia’s parole board is apparently unswayed. In a state that was among the most enthusiastic participants in the epidemic of lynching that swept America in the late-19th and early-20th century, lynching has never gone away; it’s just taken on a sterile, bureaucratic new form. 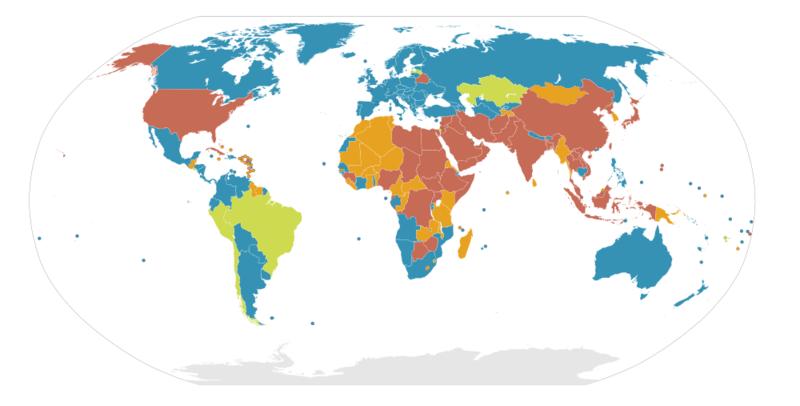 Only two of the above nations can call themselves democracies – the USA and Bangladesh. Does any thinking American feel proud to belong to this club, sandwiched between Yemen and Saudi Arabia? Two places above the supposedly “tyrannical” regime just overthrown in Libya, and three above Syria? To visualise this, here’s a map showing the worst judicial killers on the planet. To be fair, the US has a federal system which is starkly divided in two parts: the states that can consider themselves part of the modern world, and those that still feel proud to be listed among the worst human rights abusers on the planet.There’s still a chance to save Troy Davis. Facebook and Twitter users can spread the message as wide as possible this afternoon (Twitter users should use the hashtag #TroyDavis, and I suggest also #ShameOnGeorgia). Amnesty International provides details on how to mail the Georgia Parole Board. Scrutiny is a powerful thing. Places like Georgia (at least, those parts away from urban centres like Atlanta) have been slow to appreciate that they are now being watched by millions around the world. When the lynchings were happening, almost nobody outside the local areas knew about them. This time it’s different; we can help embarrass Georgia into leaving the China, Iran, North Korea club, abandoning the death penalty, and joining civilisation. Until then: Shame On You, Georgia! Restore The Death Penalty? Guido Is A Moron! 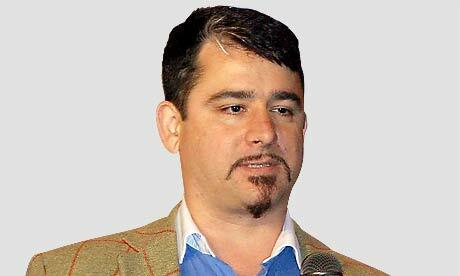 Paul Staines (who is better known as the right-wing blogger Guido Fawkes) has hit the news this week by launching an e-petition calling for the restoration of the death penalty. Last used in 1964, and abolished in 1968, the death penalty is a topic continually revisited by the right-wing media, populist MPs and morons trying to get quick publicity – in this case, Guido Fawkes. The UK has among the lowest rates of murder in the world, running around a quarter that of the United States, the last enthusiastic user of the death penalty in the Western World. Guido has, of course, attracted the usual supporters to create the illusion of a groundswell of public demand: tabloid newspapers (which continually try to create the illusion of the UK as an increasingly lawless society) and a handful of Tory MPs. See for example this article by right-wing Tory MP Sir George Young in today’s (you guessed it!) Daily Mail. We can’t stop morons from flocking to sign the e-petition. What we can do is try to strike back. So if you’re a twitterer, please make good use of this hashtag whenever you reference this issue: #GuidoIsAMoron. Twitter has given us a tool to bite back against the old moronic monopoly over news. Let’s use it! Posted on August 4, 2011 September 30, 2011 Author Jerry BarnettCategories Death Penalty, UKTags death penalty, guido fawkes, guido is a moron, petition8 Comments on Restore The Death Penalty? Guido Is A Moron!